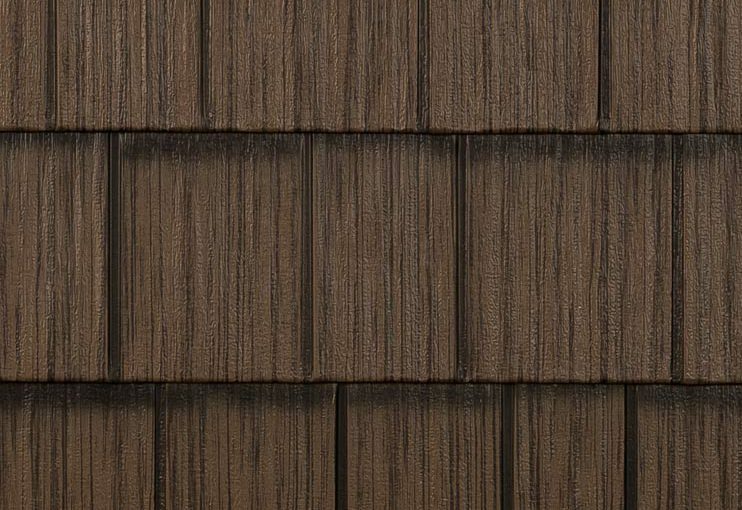 Engineered for maximum strength and durability, our Generations® line is available in nine nature-inspired colors that complement EDCO’s siding and trim products. We use a unique imaging process that retains this custom color palette beautifully. A natural-looking HD impression is bonded between two layers of TRINAR® for a flawless, tough finish. This revolutionary process adds beauty and value to your home for years to come, guaranteed! All of EDCO’s types of metal roofing (Generations and ArrowLine®) are manufactured with a unique 4-way interlocking system and are tested to withstand winds up to 160mph. EDCO steel roofs also have the highest possible hail rating (class 4). The extraordinary product with sophisticated color line is offered exclusively through a select, professionally-trained contractor and dealer network. PERMANENT METAL SHAKE Generation’s steel shake roofing comes in blended, HD Imaging, multi-tone colors that add dimension and naturalism. Get a soft, weathered look with a steel “cedar” shake that won’t fade or diminish.